Nsr Cute Bunny Rescue Escape info about the game-Games2Rule. 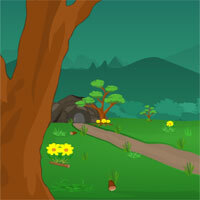 In this game, you are in the situation to rescue a cute bunny from a dark cave in a deep forest. Solve some interesting puzzles with the help of hidden clues. Click on the objects to interact with. Good luck and have fun!